The Residency Bond Program has been discontinued – please contact us or consider the EU Blue Card option we offer. 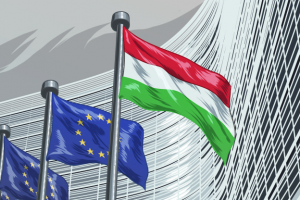 The Hungarian Residency Bond Program is the best option with which to enter the EU. This program presents an opportunity for getting permanent residence in an EU and Schengen member state, and live, do business, or travel freely to and within Europe. You are required to make a state-guaranteed investment of EUR 300,000 to be returned at the end of the 5-year term, applicants of all nationalities can obtain permanent resident permits with only a single visit to Hungary. There are no special qualification criteria in regards to minimum personal net worth or management experience applied to the foreign investors. The Residency Bond Program also makes no preference for any person of a certain nationality. Applicants are required to maintain a residential address in Hungary for the period of their temporary residence permit, for which additional fees apply. This option to enter both Hungary and the EU is a very sure-fire method of obtaining the most rights in the country for the least risk, should one have the capital required to invest. Citizenship is also on the cards, given that the permit lasts long enough to work towards becoming a citizen of Hungary and thereby a citizen of an EU member state. For enquiries, please contact us right away.